The Horserail® coated wire fence tensioner splices two rails of coated wire together and also tensions the fence all at the same time. 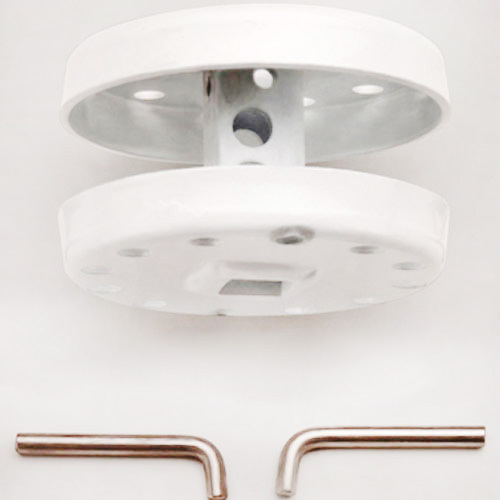 This tensioner is very easy to use and installs quickly. It's equine safe with smooth edges. The Horserail® coated wire tightener is very easy to use and stays in place once it is ratcheted in place. 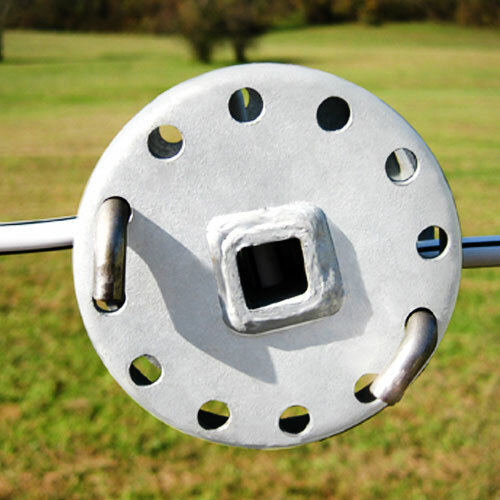 It stays in place with two metal pins and has multiple adjustment holes if your fence ever needs to be re-tightened. Splices 5/16" coated wire together effortlessly. Requires a 1/2" drive ratchet handle to be able to install and tighten the fence rail. 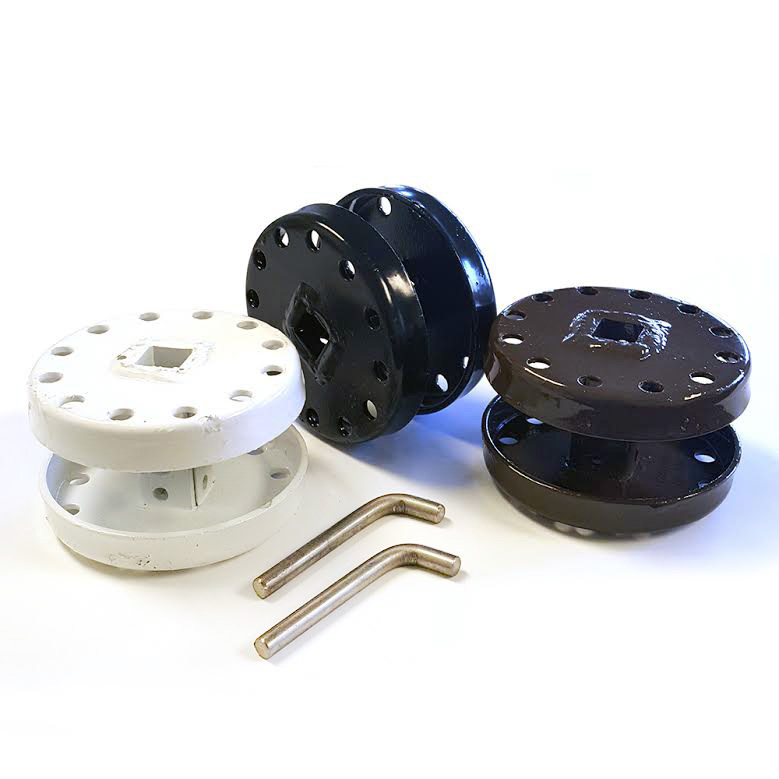 This coated wire tensioner works with our Raceline Flex Fence® coated wire and the Shockline Flex Fence® electric coated wire. Installation: Requires a 1/2" drive ratchet handle to install and tighten the fencing. The ratchet is sold separately. It can be purchased here. Horserail® is a registered trademark of John Wall, Inc., and this product may be covered by one or more patents, including US D613,570.